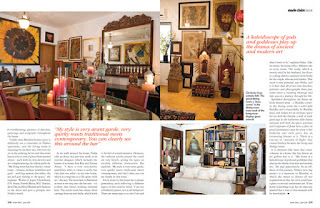 NISHA JAMVWAL -SNEAK PEAK INTO HER SPACE! Years spent in America, Japan , Europe and Australia; a career that spans interiors, architecture, fashion, writing and brand management; her story written eloquently by Jeffery Archer in Caste-Off. With such a colourfl, larger-than-life existence, one can’t help but wonder how it translates into her home. All questions are answered the minute you set foot inside her sea-facing apartment . A long passageway leads to the living room and even from the threshold one can get an expansive view of the sparkling azure sea. The walls of the passage are covered by exquisite artwork that take you around the world even before you actually enter the living room. “Today art is fashionable, but it’s been a part of my existence since I was three. I could draw before I could write, and I still love and buy art from across the world,” says Nisha, explaining the overwhelming presence of sketches, paintings and sculptures throughout the house. Unlike most city homes, space is definitely not a constraint in Nisha’s apartment, and the living room is imposing by its sheer size. 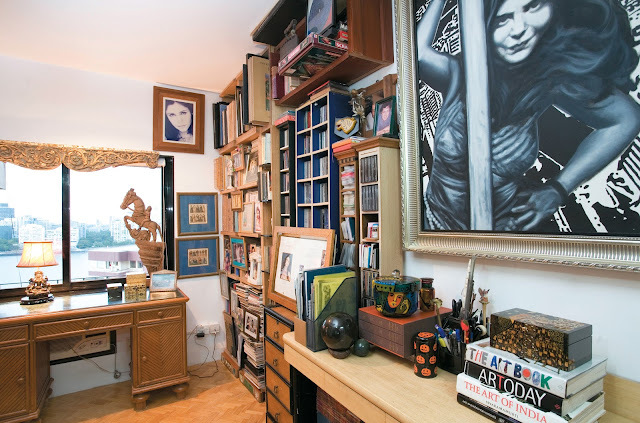 Her love for art is the unifying factor, and this room has an eclectic mix of pieces from revered artists – each with its own identity and yet complementing the others perfectly. “My living room has four distinct colours – gold, fuchsia, aubergine and teal – with big mirrors that reflect the sea and give feeling to the space,” she explains. Every room in this house has a unique personality, each reflecting a different aspect of this creative mind. “I am not a blinkered person, not at all formatted. 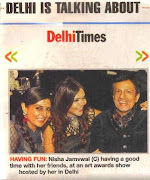 There are many aspects to who I am and what I want to be,” explains Nisha. Like its owner, the house tells a different tale in every room. 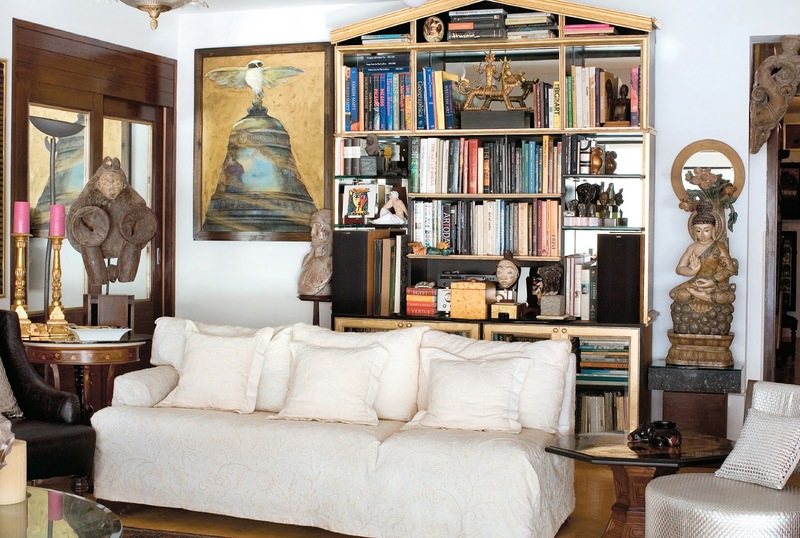 The study has floor-to-ceiling shelves crammed with books for the avid reader. This room is very personal, says Nisha, and it is here that all of her own sketches, portraits and photographs from past years create a stunning montage and take you on a journey through her life. Sprinkled throughout the house are little themed areas – It is elements like these that create cohesion in a house that has almost an art gallery feel to it. 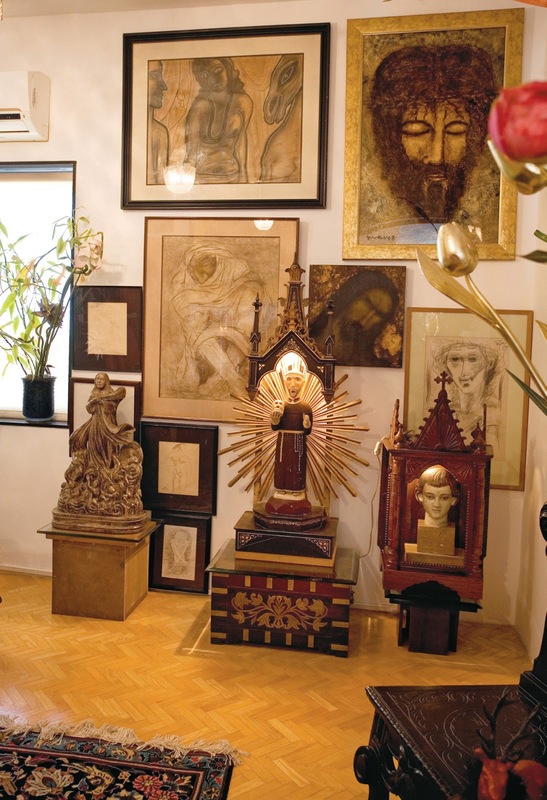 “My home is a kaleidoscope of gods and goddesses that play up the drama of ancient and modern art,” she says . As an off-shoot of this passion, Nisha’s next big project is a museum in Mumbai to which she wants to donate all her acquisitions so that the city’s youth have a place to see and understand art. If her home is anything to go by, one may rest assured that a visit to this museum will be worthwhile.